Let's play! 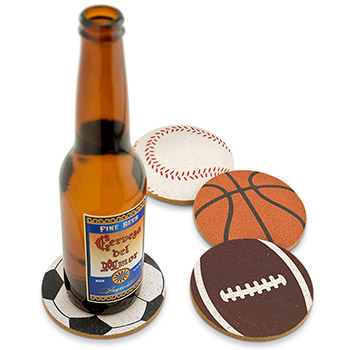 Set of four real cork coasters. Caster art includes a footbal, baseball, basketball and soccer ball.